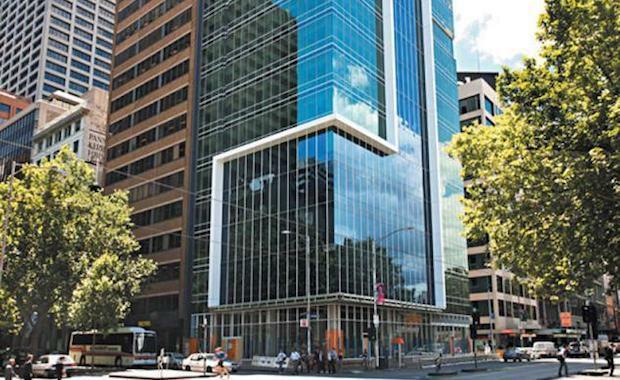 An offshore lawyer has purchased two suites in the renowned 2 Queen Street strata office building in Melbourne, only 10 days after they went on the market. The second floor suites total 110 square metres and were sold with vacant possession for $695,000. Chris Pharr, Tom Tuxworth and Ed Wright from CBRE Strata Projects marketed the property on behalf of a private investor. Mr Pharr said CBRE received unprecedented enquiry from both local and offshore groups as a result of the property’s great location and iconic building design. “Buyers want to take full advantage of the low interest rate environment which is the lowest in 55 years,” he added. “This sale was the second in as many months at 2 Queen Street, with CBRE City Sales also selling shops 3A & 3B to a local investor on a yield of 4.7% and a rate per square metre of over $21,000,” Mr Tuxworth said.